When a user uses the Launch App link in the web application, the launcher is called and obtains the necessary credential information for the application to launch. The application is launched from the jump server. In turn, VDI displays the remote application on the user's workstation like a local application. Before application launching can occur, RDS must be configured. Open Server Manager. 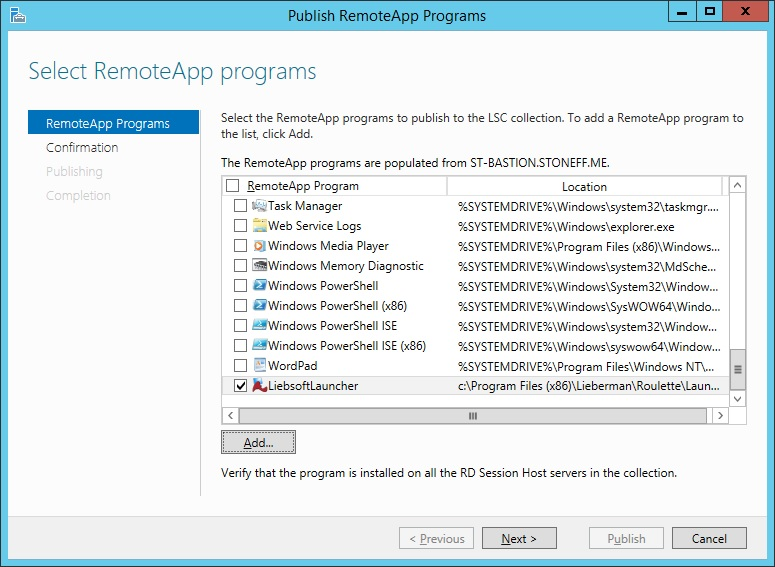 Select Remote Desktop Services > Collections. 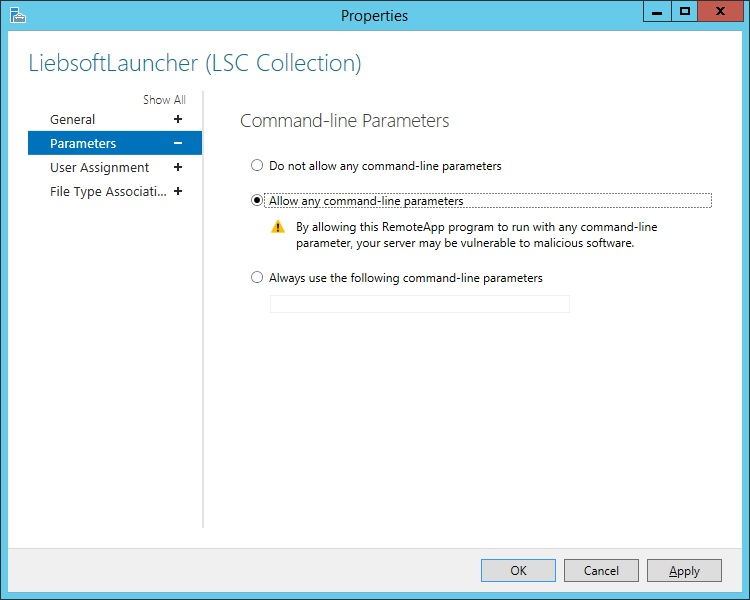 Select the collection needed to configure application launcher. 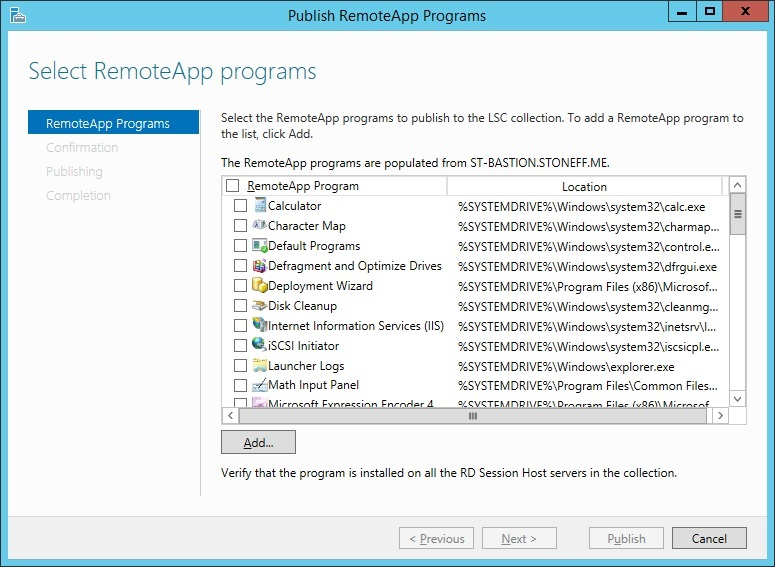 In the RemoteApp Programs area, select Tasks select > Publish RemoteApp Programs. 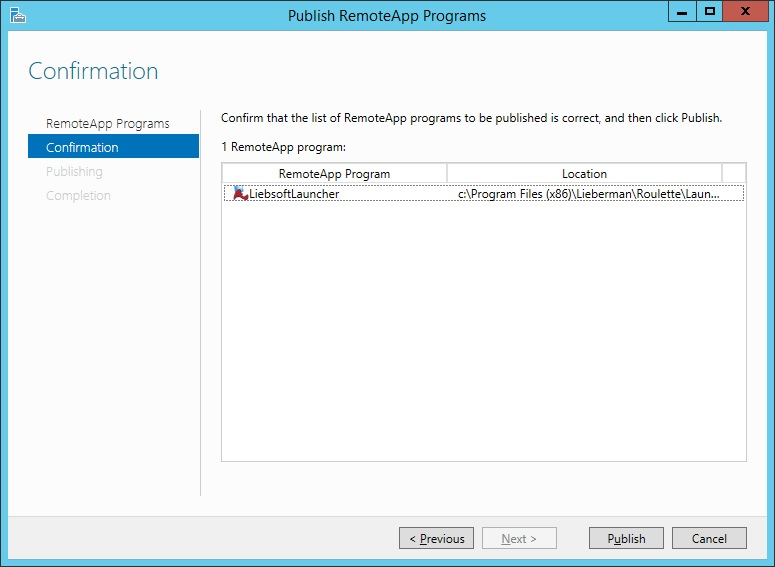 Click Add on the Publish RemoteApp programs dialog. Select LiebsoftLauncher.exe from the application launcher installation location on the jump server. The default directory for this file is C:\Program Files (x86)\Lieberman\Roulette\LaunchApp. On the Confirmation page, click Publish. 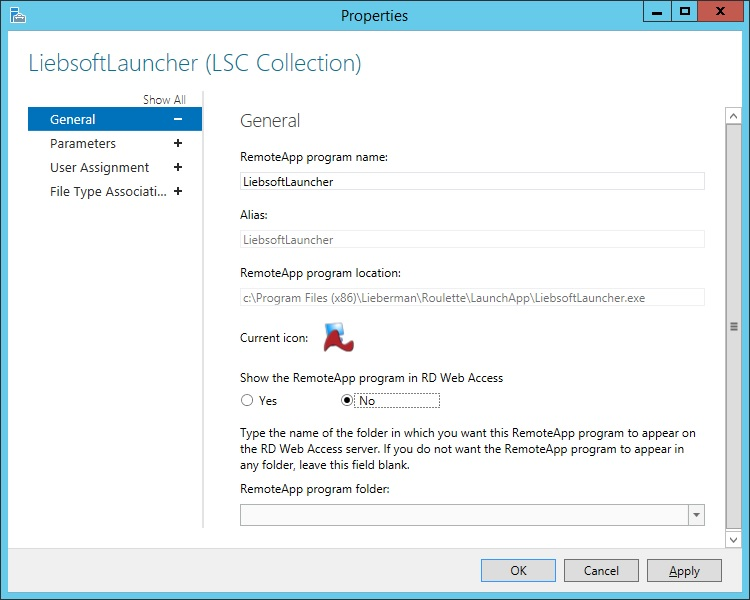 Once the LiebsoftLauncher application is published, right-click on it in the RemoteApp Programs list. Select Edit Properties. 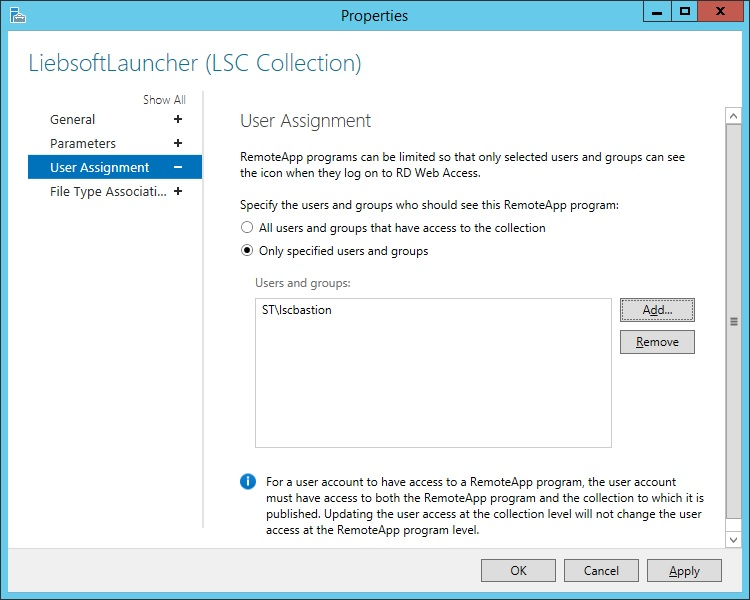 On the General tab, set the Show the RemoteApp program in RD Web Access dialog to No. On the Parameters tab, select Allow any command-line parameters. On the User Assignment tab, we highly recommend that you change the User Assignment option to be a specific user or group of users. You will be connected to the server as a pre-designated account, which can be managed by Privileged Identity. This is the only account that requires access to run the program. The account assigned requires all permissions and rights to launch desired programs.